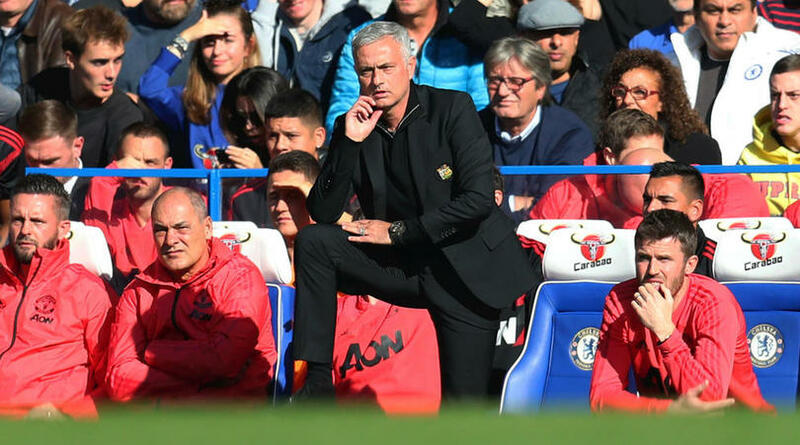 Jose Mourinho felt a 2-2 draw at Chelsea was an “awful result” for Manchester United and a ‘phenomenal’ one for Maurizio Sarri’s men after Ross Barkley equalised in the 96th minute at Stamford Bridge. However, Chelsea substitute Barkley had the final say deep into stoppage time, the England midfielder’s goal prompting wild celebrations on the touchline and a furious row as Mourinho was left incensed by provocation from Marco Ianni, a member of Chelsea’s coaching staff. ‘[We were] the best team on the pitch,’ he told Sky Sports. ‘If you say before the match, one point at Stamford Bridge is always a good result because it’s so difficult for teams to win here. In a subsequent news conference, Mourinho was asked what pleased him in United’s performance and replied: ‘Everything. I think what I call the Chelsea triggers, we controlled them, and the reality is we conceded two goals from set-pieces, not in organised play. ‘We controlled that very, very well … I think we deserve much more than this result but this is what it is.